What’s in a coffee maple beer? Fresh off Hidden Sands’ first-ever first place win at the 2018 Atlantic City Craft Beer and Music Festival , core brand beer “First Drop” takes a surprising place in the spotlight, just as porter season comes to a close. And while we agree with the judges at the competition that First Drop is special, most people just don’t know how unique this coffee maple porter is, based on its ingredients alone. When it comes to the Jersey Shore, there isn’t anything much more iconic than the famous Ocean City Boardwalk. It was important to our team to incorporate as many local flavors into our beer as possible. Honestly, what is better than mixing local flavors and favorites? 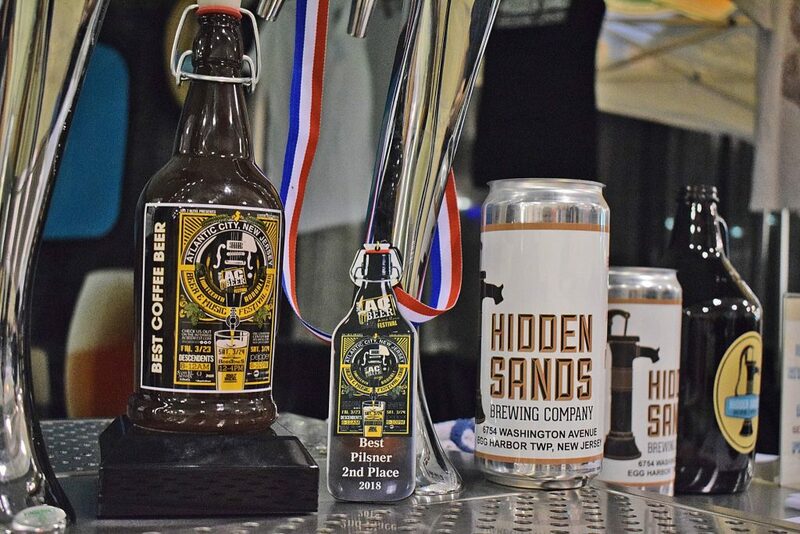 Ocean City Coffee Company supplies Hidden Sands with the coffee that gives our First Drop porter its rich, bold flavor. There are three locations in Ocean City, two on the Boardwalk and one on Asbury Ave. Stop by one of their three locations and tell them Hidden Sands sent you! When it comes to the maple part of First Drop – we don’t mess around. Vermont is world famous for their maple syrup, and we agreed not to mess with a masterpiece. The week of A.C. Beer Fest, some of the Hidden Sands family got the opportunity to check out the sugar house of our maple syrup supplier – Davis Family Maple. This family owned business produces some of the finest maple syrup on the market. The farm has over 10,000 tapped trees and offers tours of the sugar house, as well as syrup, maple cream, candy, sugar and other maple products for sale. Stop by the brewery for a taste of our prize-winning First Drop! We know you’ll love it just as much as we do!